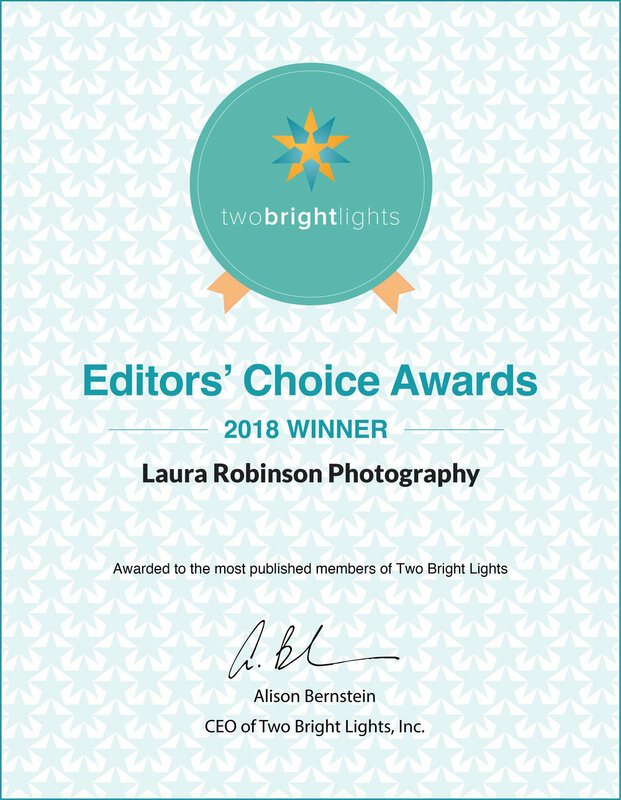 Laura Robinson Photography is proud to announce that we are a 2018 Editors' Choice Winner from Two Bright Lights! We use this cutting edge platform to connect directly with magazines, blogs and editors to feature our clients' photos and stories. 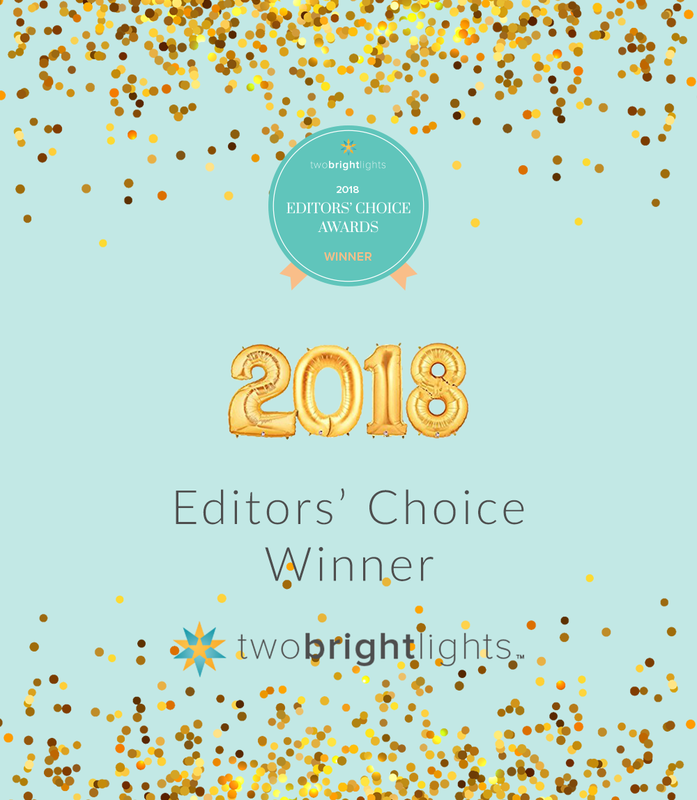 The Two Bright Lights Editors' Choice Awards are a signature program that recognizes photographers and vendors whose number of published features in 2017 ranks them among the top 1% of all Two Bright Lights members. Winners were published across many of the most respected lifestyle, wedding and other print and digital publications in the United States and worldwide. The 2018 honorees reflect those that have demonstrated a superior quality of work for their customers, and have used Two Bright Lights' online platform to quickly and easily get published by submitting their authentic, stunning imagery and services directly to the top industry publications and editors. Among thousands of photographers and vendors competing for publication, the Editors' Choice winners represent the best-of-the-best." Minnesota Bride "Best Of" Awards 2018 - Your Votes Needed! Voting for the 2018 Minnesota Bride Magazine "Best Of" Awards is now open. We would LOVE your support and especially, your VOTES! June 2017 Update - We just received word that we placed in the TOP 100 OVERALL in the contest! So cool! Will update when we have more details! Thank you to the Shoot and Share online community and all of the incredible sponsors of the 2017 Shoot and Share Photo Contest! 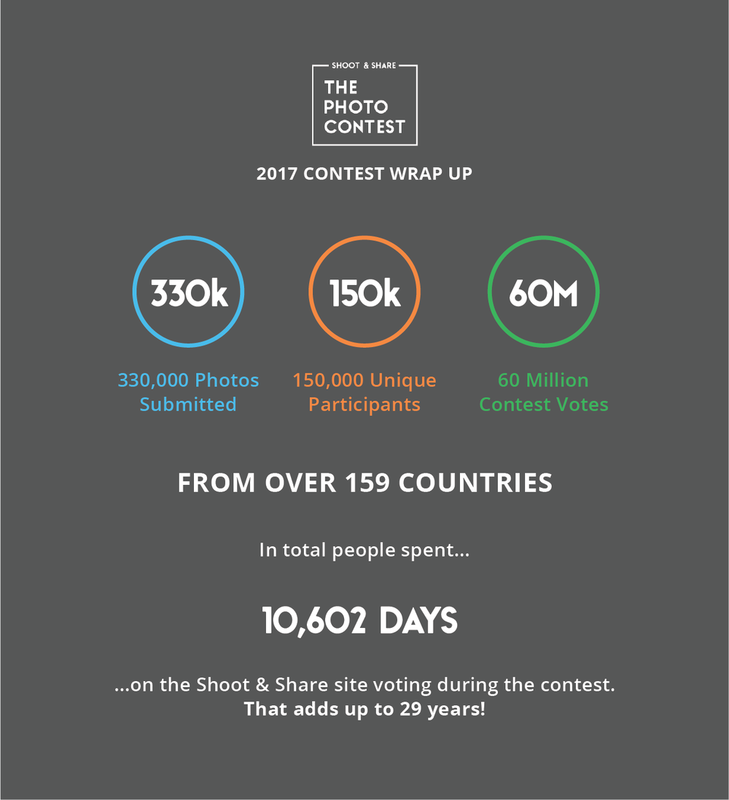 With over 330,000+ photos entered, by 150k unique participants and over 60 MILLION VOTES CAST... we are proud to say that we had 32 images of our 50 possible that went on to receive awards in this incredible contest! The contest is open to everyone and it is judged by anyone who participates in the blind, online voting contests over a 6 week period. Up to 50 photos can be submitted per photographer into 25 categories, and the photos are presented as a series of 4 images at once, and a voter can choose one of the 4 images presented. We also want to thank our clients... without you, we could not create such beautiful images. Here are our results, as well as the winning images! For more inspiration and to see the other contest winners, visit the Inspirationator on the Shoot and Share website!